Fate often leads you through unknown territory. Foes with unique fighting styles typically appear. You must rely on skillful reflex. 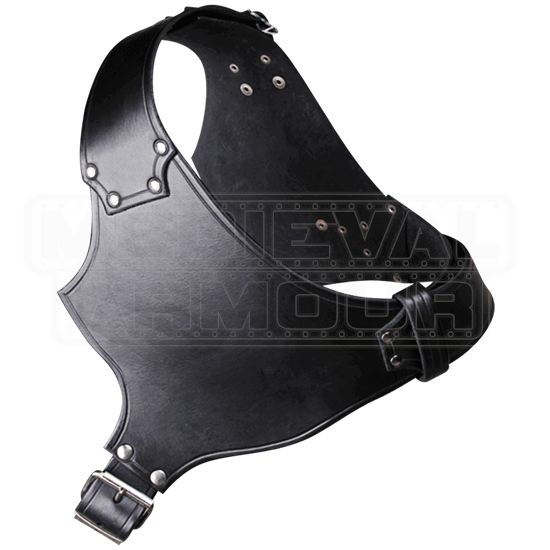 Move swiftly on instinct while protecting your upper torso with the Crisso Leather Harness. This versatile harness is wearable on either side, dependent on the desired look and fit. When worn on the left shoulder, the buckle rests on your right side. When worn on the right shoulder, the buckle is more towards the back. Let this chest plate increase the fierceness of your roguish bearing. It matches quite well with the Crisso Leather Spaulders.